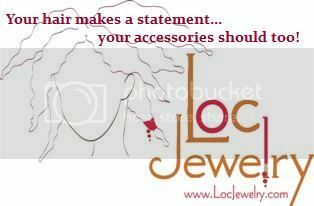 Loc Rocker: Dandruff and a new wash routine? Dandruff and a new wash routine? So after complaining about that build-up issue, I've been hesitant about washing my hair again. It's like I WANT to but I don't want to even deal with that build-up mess. BUT, my scalp was itching like mad and my dandruff was out of control. Like..it was BAD. Bad bad. Yeah, I know it's gross. I've been dealing with dandruff since I was a permie. I drink a crap load of water, take vitamins, massage my scalp and know all of the tricks to get rid of dandruff, but it still keeps hangin' on, so whatev. I don't even care anymore. The good thing about the locs is that the dandruff can hide. Somewhat. But it still itchies like a mofo. So the evening before I washed, I scratched my scalp with a rat tail comb. I wanted to uproot as much of that dandruff as I could. It was EVERYWHERE, y'all. Eww, I know but I didn't want y'all to think I was exaggerating. BTW, one time for the 2-week curl job! I attribute their long stay to cold weather and Florida's lack of humidity. And as much as I love curly locs, I actually missed the straight locs too. After I uprooted all of that dandruff, I massaged my scalp with a blend of olive oil and peppermint oil. Donned the locs with a cap and went to bed. BTW, I think my locs are getting too long for the satin cap. Anyone have any suggestions of what I can use next? I already sleep on a satin pillow case and I don't want something that really hugs my head. Tension on my head brings about migraines and migraines=semi death for B. Anyway...the following day I washed 2 times with almond castile soap. I was crossing my fingers that I didn't have any build-up but nope...build-up galore was waiting for me. I poured that stank apple cider vinegar over my locs and concentrated on the areas where build-up was out of control; which for me, are the locs behind my ears. As it always does. I love what ACV does but I just HATE the smell and I know using it too often isn't good for color treated hair. It strips and strips and strips. *sigh* But what options do I have? I wonder if distilled vinegar would work? At least with that I can add a few drops of some kind of essential oil. Gotta do my research on that. After rinsing the hair thoroughly with ACV I knew that I would have to put the moisture back in my hair. Regular conditioner was not an option. So Mommy (the permie who knows so much about natural hair care that she just just go natural herself) recommended that I do a hot oil treatment. DUH!!! I poured warm olive oil all over my locs and massaged my scalp. I sat under the dryer for 10 minutes. I rinsed my hair to get rid of any extra oil. I didn't want the locs to be "soaking" in oil. And then I re-twisted just the first 2 row of locs. Remember....I vowed to not re-twist or latch for a month. 2 more weeks to go! But the first 2 rows don't count. It's just in me to always have them looking manicured and neat. But the back? I don't be carin'! Is this really 2 weeks of new growth or did some slipping happen? I mean, crap! I know my hair grows fast but Lawd! I retwisted with aloe vera gel. NO MORE USING BUTTERS TO TWIST. I love how they work but it's maximizes the build-up. I sat under the dryer for a good 20 minutes and viola! -Sit under dryer (until the summer comes around). -Spritz with Greg's Juice for smell. That's it! I think I've found a nice routine. My hair feels and smells good and my scalp feels so much better. I think I'll do this once a week or so. hmmmm B I don't think that distilled vinegar will do anything other than dry you out. I could be wrong though, If you find out be sure to post though because ACV does stank. As a new locer and fellow dandruff sufferer, I must remember this. I'm almost 3wks into my loc journey (comb coils) and have had to sit there and uproot my dandruff once a week. My dandruff is even worse than urs. How bad? Well, when I finished using a rattail cob to scratch my scalp to get all the dandruff, my shirt was COVERED with flakes. Its really ridiculous. Sorry to keep leaving you these crazy-long comments, but I hope I can help you (any and all of you) avoid the mess I've been through with my two sets of locs. Witch hazel is really wonderful stuff for all types of skin ailments and that goes for your scalp too. It's great for dandruff. If the scent doesn't agree with you, you can find scented witch hazel pretty easily (cucumber, lavender, lemon, etc.) It may seem a little counter-intuitive to use an astringent, but it helps to heal the skin. And you'll find yourself scratching less and shedding less skin. Disclaimer: no idea how colored hair will respond. Also, you can mix up some really deliciously scented hot-oil treatments and/or leave-ins to get around the scent of ACV or other astringent rinses (like witch hazel). For those dealing with dandruff, mix in some clove oil (or another rubefacient oil). It helps to increase circulation. Also, what may look like dandruff can also be the white bulbs at the tips of hair that's been pulled out at the root by excessive twisting, latching or pulling OR hair that is shedding. Whatever the cause, don't panic. Just know that it can give the appearance of dirt, lint or dandruff in the locs. Just stopping by to give a "WOOT!" to your washing success. when you make that leave in and/or serum be sure to share the recipe! lol. Dry going to a dermotoligist. It may not be dandruff. Try using the shampoo Nizarol. it help me alot with my locs. Plus the medication I use from the dermo. Hey, been locin' for three and half years... dandruff never stops, but you can manage it... I wash my hair every 10 days to two weeks, and twist every other wash. Keep twisting to a mininum to avoid any breakage. 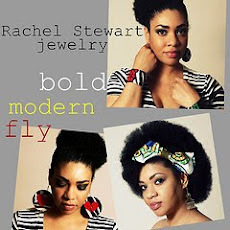 To sleep: buy a large satin or silk scarf, great for longer locs. Witch hazel and regular astringent works for dandruff... just do it regularly. Daily massage works too, it keeps the naturals oils in the scalp flowing. Hope this helps. For the past couple of months I've been using raw black african soap. That coupled with herbal cleanse or straight ACV and frequent washings like every 2-4 days seems to be keeping mine under control. I do not put any oil on my scalp either. Also massaging at least once daily. Thanks for this post! I have dandruff and the itchies really bad! Also, to the above commenters, thanks for the tips; I'm going to try some of these.